It's the future, but it's now. FUTURE. The UK's first 4G network has announced a raft of impending improvements to its superfast network, as well as improving 3G services. A total of 17 new towns and cities will be getting the LTE service, which offers speeds around five times faster than 3G. The new 4G zones are Bradford, Chelmsford, Coventry, Doncaster, Dudley, Leicester, Luton, Newport, Reading, Rotherham, St Albans, Sunderland, Sutton Coldfield, Walsall, Watford, West Bromwich and Wolverhampton, as EE looks to extend around the launch cities. The 4G networks in these areas will be turned on by March 2013, with the full 98% coverage rollout set to finish by the end of the following year. 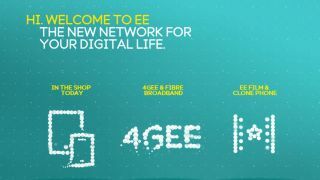 In addition to the new 4G locations, EE has announced that it will be improving the services in the current faster-speed cities, meaning a better signal and even speedier connections for those using LTE phones in the likes of London, Birmingham and Manchester. And don't worry if you care about, you know, having money and don't want to shell out on 4G just yet; EE has announced it has managed to gain 40% of the population covered with DC-HSPA 3G signal, meaning you can get up to 42Mbps speeds on the go. If all of this seems like total gibberish, don't worry as we've potted it down for you: 4G is the fastest mobile signal out there, but costs a rather large amount and you'll need a special phone. DC-HSPA is the 'normal' data connection you're used to, but about half the speed of 4G. Simple, eh?